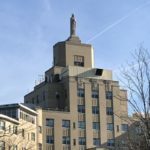 Camden, NJ—Virtua Health has signed an agreement to acquire Lourdes Health System from Trinity Health, including Our Lady of Lourdes Medical Center in Camden. The boards of Virtua Health and Maxis Health System, an entity of Trinity Health, reached a “definitive” agreement after signing a non-binding letter of intent back in March, and a subsequent due diligence period. The agreement also includes Lourdes Medical Center of Burlington County, Lourdes Medical Associates and Lourdes Cardiology Services. “Virtua and Lourdes offer complementary services. Bringing our organizations together creates a more fully integrated network offering greater access and care options for our patients. It just makes good sense,” said David Kindlick, chairman of the Virtua Board of Trustees. “At Lourdes, we are thrilled to be joining with Virtua. Their passion and visionary approach to care is completely aligned with the Lourdes Health System, and we are looking forward to a bright future ahead,” says Reginald Blaber, M.D., president of Lourdes Health System.